Cello upgrades iViewer TV to include Twitter and Facebook apps | What Hi-Fi? 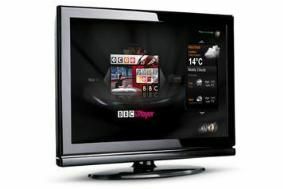 The iViewer TV, which can stream web-based TV channels including the BBC iPlayer and YouTube, will now also allow users to read messages, get updates and access their accounts on the telly. The service launches in April and existing Cello iViewer sets will automatically be updated to receive the Facebook and Twitter apps. The iViewer connects directly to the internet via an Ethernet cable (supplied) or an optional wi-fi dongle. You can read more about the Cello iViewer in our original news story.